Founded in 1714 – four years before New Orleans – the city of Natchitoches, Louisiana is the oldest permanent settlement located within the area covered by the 1803 Louisiana Purchase. The settlement was named after a local Native American tribe that is part of the Caddo Confederacy. As for how to pronounce Natchitoches, though locals now say “Nakadish,” in the 19th century people said “Nakitosh” and often spelled it that way. In 1713, Louis Juchereau de Saint-Denis, a French-Canadian soldier and explorer, was commissioned by the governor of Louisiana (then part of New France) to open a trading route to New Spain (Mexico). The following year Saint-Denis founded the trading post of Fort Saint Jean Baptiste de Natchitoches on an island in the Red River. French settlers initially established themselves on the east bank of the river. In 1735, St. Denis moved the fort to the west bank. Other settlers followed. From the beginning, relations between the residents of Natchitoches and those of nearby Texas (then part of New Spain) were close. Trade with Indian tribes, particularly the Caddos, dominated the local economy. Natchitoches supplied the rest of Louisiana with horses and cattle, most of which had been stolen from Spanish ranches by Comanches or other Indians. It is the principal place of an excellent and delightful province. It is the abode of five hundred inhabitants, while a thousand others others dwell in the country [round about]. It is the residence of a priest and a district commander who renders zealous and paternal justice to all persons claiming it. The trade of a portion of the inhabitants of the city consists in pelts, cattle, hogs, and cheese; while the other portion is engaged in the chase. Numbers of bears, roe deer, red deer and other fallow deer which live in the woods and in those vast and beautiful prairies, form a powerful attraction for these hunters, who gather all told more than twenty thousand skins in three or four months – which gives each one net fifteen or sixteen hundred francs. The flesh of all those animals remains where they have been skinned and becomes food for birds of prey and other carnivorous beasts. When those hunters depart [for the chase], fifteen of them form a party and choose one of their number to look after their eating. That man has an equal share with the others in the skins of the animals. According to Alliot, residents traded with the Caddo, Cocinthés and Panis Indian tribes. The Indians exchanged animal pelts for guns, gunpowder, vermilion, taffia (rum) and jewelry. In 1819, the garrison at Natchitoches moved to Fort Selden, six miles north, and Fort Claiborne was demolished. In 1822, Fort Selden was closed and the garrison moved to a new fort, Cantonment Jesup, 25 miles west of Natchitoches, under the command of Colonel James B. Many. It had the dual mission of protecting frontier settlers against slave revolts and guarding against incursions from newly-independent Mexico. American clergyman Timothy Flint provides an impression of what Natchitoches was like in the early 1820s, which is when Napoleon fictionally sets up camp there in Napoleon in America. 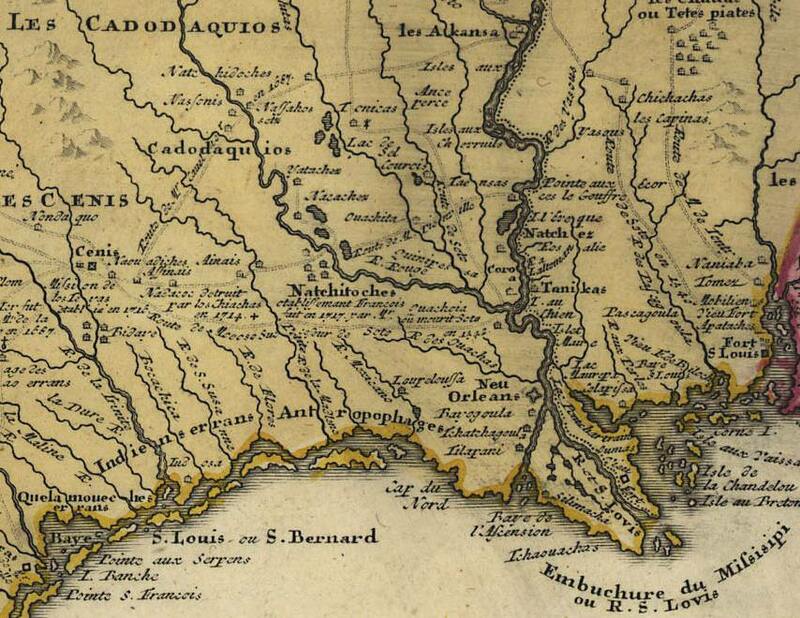 At the time, Natchitoches was the largest settlement in Louisiana west of the Mississippi. The village is compact…and composed of Spanish, French, and American houses, and a population composed of these races together, with a considerable mixture of Indian blood. There are many respectable families here, and a weekly newspaper in French and English. From its position, this must be a great inland town. At the head of steam-boat navigation, the last town westward towards the Spanish frontier, and on the great road to that country and to Mexico, it has already a profitable trade with that country. The Spanish come there for their supplies, as far as from the Rio del Norte [Rio Grande]. They pay in bars of silver and mules. I have seen droves pass of four hundred horses and mules…. Being, as they phrase it, the ‘jumping off place,’ it is necessarily the resort of desperate, wicked and strange creatures who wish to fly away from poverty, infamy and the laws, and those who have one, from conscience. If I were to enter into any kind of detail of the singular scenes that have been witnessed here, under the different regimes, Spanish, French, and American, in its different stages of a pastoral, hunting, and commercial existence; and from the period when its navigation was conducted in canoes, hollowed from trees, to the stately steam-boat; if I could describe its Indian powwows, its Spanish fandangos, its French balls and its American frolics, the different epaulets of the Spanish, French, and American officers, and the character, costume, and deportment of the mottled damsels that attended them, I must be the “great Unknown” to do it, and I must have ten volumes for elbow. Pity, that all this interesting matter should be lost, for want of a historian. I wandered to its ancient grave-yard, and experienced indescribable emotions in trying to retrace mouldering monuments, where the inscriptions were originally coarse and are now illegible, where Spanish, French, Americans, Indians, Catholics and Protestants lie in mingled confusion. 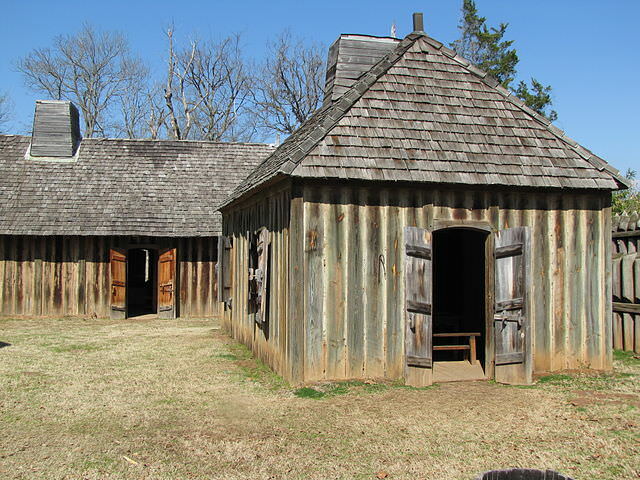 Fort St. Jean Baptiste has been reconstructed as a state historic site in Natchitoches. Sophie Burton and F. Todd Smith, Colonial Natchitoches: A Creole Community on the Louisiana-Texas Frontier (College Station, TX, 2008), p. 18. Paul Alliot, “Historical and Political Reflections,” in Louisiana Under the Rule of Spain, France, and the United States 1785-1807, translated and edited by James A. Robertson, Vol. I (Cleveland, 1911), pp. 125-129. William Darby, Geographical Description of the State of Louisiana (Philadelphia, 1816), p. 211. John Sibley, “An Account of the Country and Productions near the Red River in Louisiana,” The Literary Magazine and American Register, Vol. VI (Philadelphia, 1806), p. 173. Joseph Carl McElhannon, “Imperial Mexico and Texas, 1821-1823,” The Southwestern Historical Quarterly, Vol. 53, No. 2 (October 1949), p. 125. Timothy Flint, Recollections of the Last Ten Years Passed in Occasional Residences and Journeyings in the Valley of the Mississippi (Boston, 1826), pp. 365-367. Does anyone know about a Mexican raid into Natchitoches in the 1820s or early 1830s in which men from the town went out to fight the invaders and some were killed, including one Bollinger. And then some women and children were taken into captivity down into Mexico? I’m not aware of this raid, Jeffrey. Perhaps someone reading this post knows something about it and will leave a comment. If I could describe its Indian powwows, its Spanish fandangos, its French balls and its American frolics, the different epaulets of the Spanish, French, and American officers, and the character, costume, and deportment of the mottled damsels that attended them, I must...have ten volumes for elbow.